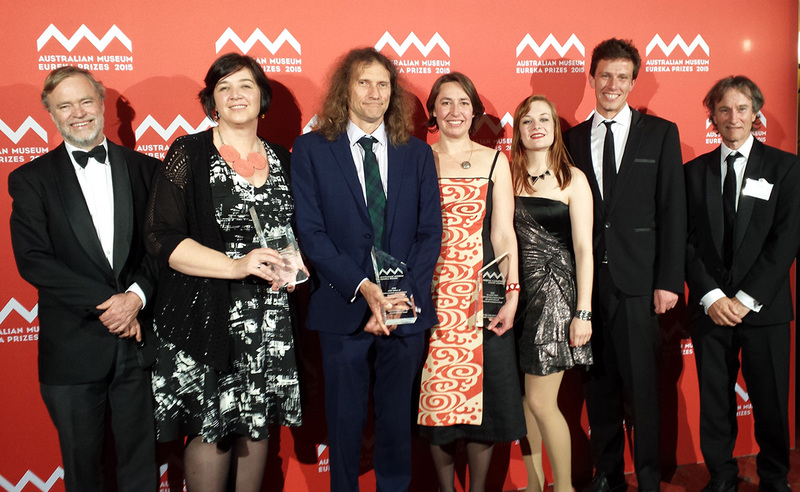 The IUCN Red List of Ecosystems team has been recognised for their outstanding research contributions and its impact, in the 2015 Australian Museum’s Eureka Awards, Australia’s premier science awards. 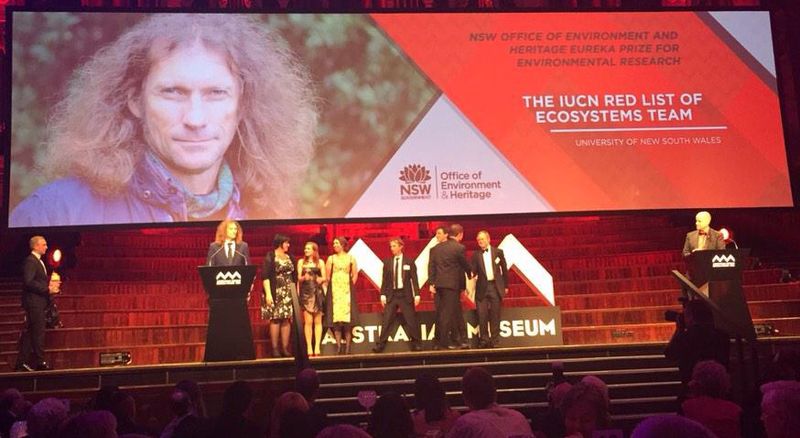 Prof David Keith and the team was awarded the 2015 NSW Office of Environment and Heritage Eureka Prize for Environmental Research, for our work to develop the criteria that underpin the IUCN Red List of Ecosystems, the first comprehensive and quantitative method for assessing ecosystems that is applicable globally and to all ecosystems – marine, freshwater and terrestrial. For other accounts of the evening by team-members, see posts by Mick McCarthy on his group’s website and by Emily Nicholson. For the full list of winners and finalists see the Eureka website.